It was snowing this morning when I got up, snowing when I had breakfast, snowing when I had lunch and still snowing when I had dinner. 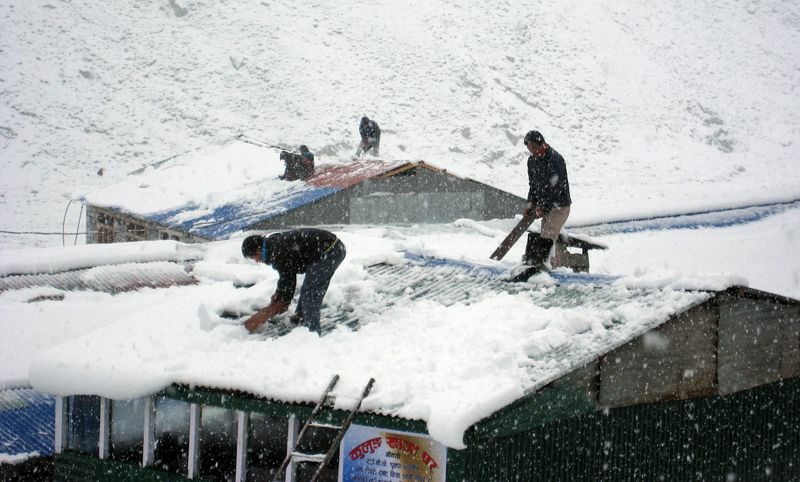 At least thirty centimeters has fallen so far and the lodge staff have been busy most of the day clearing it away from the roof to avoid collapse. And while snow is hardly uncommon out here it is unusual for it to fall this heavy and at this time of the year. 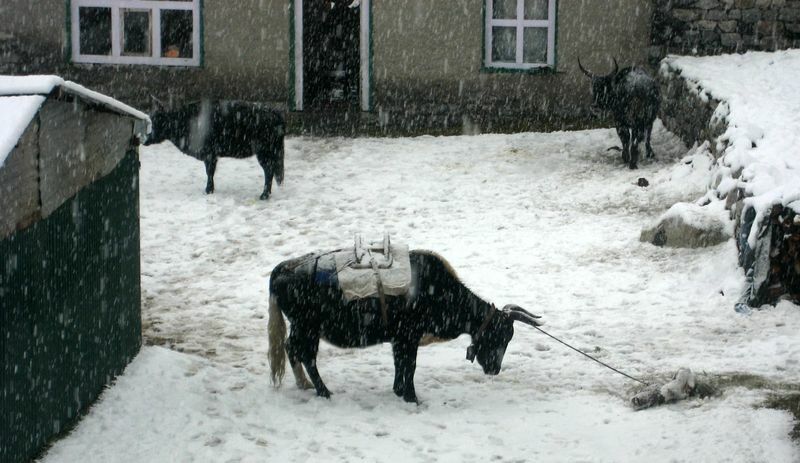 Unhappy Yak in the snow.